The Associations are currently in a 7 year partnership with a church in Sigchos, Ecuador. When we began in 2011, the area had no evangelical church and was considered to be less than 2% Evangelical. 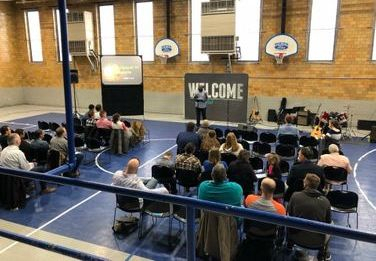 Through our ministry time there, we have seen God assemble a team (comprised of locals & our team) to plant a church that is now growing & reaching their community and seeking to plant churches in surrounding areas. 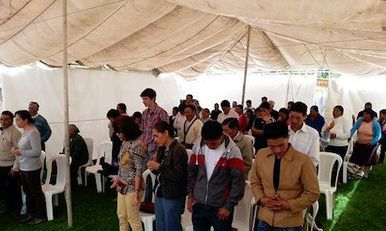 The church,"Blessing and Life Evangelical Christian Church of Sigchos," is connected to the local Baptist Association and also the Ecuador Baptist Convention. We send multiple teams during the year. Make-A-Diffence Week is a week long event, where multiple small group teams accomplish various mission projects in the community. 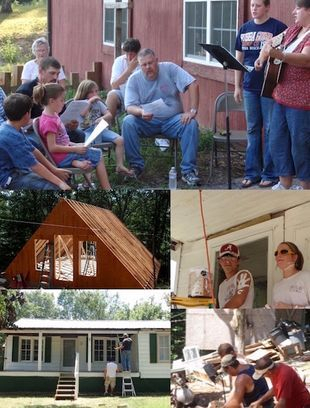 These projects vary from yard work, home improvement jobs (building ramps, repairing roofs, & repairing damage), spending time with residents in nursing homes, Day Camps, Vacation Bible Schools, etc. but no matter the 'job,' the goal is to share the love of God through His Son Jesus. Each day teams are divided up and sent to their assigned job and in the evening all team gather together for a time of worship in a participating host church. If your youth group, adult class, or church want to participate in MAD Week, contact Greg Ernsberger, Volunteer Mission Coordinator, (931) 627-4151, or the Stewart Co. Baptist Association (931) 232-8441. The Associations have entered into a prayer partnership with Purposed Church and seek to assist Brother Belafae Johnson and his team in various ways by sending multiple teams to serve them in their mission. Mascoutah's population is about 7,978 with only 17% identifying as an Evangelical Christian. Mascoutah is minutes away from Scott Air Force Base, which employs 13,000. Purposed Church desires to serve the community and make disciples who will go out and impact the world. LBL Area Ministry exists to coordinate the religious concerns and resources of the vast Kentucky-Tennessee vacation land related to Kentucky and Barkley Lakes. Campground Worship is conducted each Sunday morning from April through October at Kentucky Dam State Park Campground, Hillman Ferry, Piney and Wrangler in the TVA National Recreation Area between the lakes. Campground worship is conducted each Sunday morning from Memorial Day through Labor Day weekends at Paris Landing State Park in Tennessee, Lake Barkley State Park Lodge, Canal Campground and Kenlake State Park Campground. This ministry is supported primarily by the free will offerings of those participating in the worship services. The minister's services are volunteer. LBL Area Ministry functions under the direction of a Coordinating Council made up of individuals with religious responsibilities within the region. All programs and services of this ministry are inter-denominational in nature.